Once upon a time, in the heart of the Western Kingdom, lay a beautiful garden. And there, in the cool of the day, the Master of the garden wants to walk. 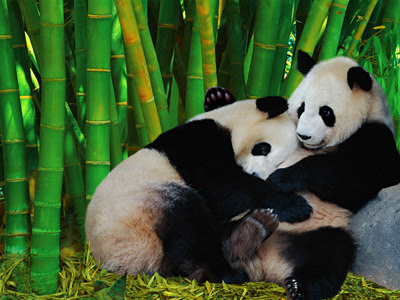 Of all the denizens of the garden, the most beautiful and most beloved was the gracious and noble bamboo. Year after year, bamboo grew yet more noble and gracious, conscious of his Master’s love and watchful delight, but modest and gentle withal. And often when the wind came to revel in the garden, Bamboo would cast aside his grave stateliness, to dance and play right merrily, tossing and swaying and leaping and bowing in joyous abandon, leading the Great Dance of the garden, Which most delighted the Master’s heart. “Master, if thou cannot use me other than to cut me down.. then do thy will and cut”. And lifting him gently, carried him to where there was a spring of fresh sparkling water in the midst of his dry fields. Then putting one end of the broken Bamboo in the spring and the other end into the water channel in His field, the Master laid down gently his beloved Bamboo… And the spring sang welcome, and the clear sparkling waters raced joyously down the channel of bamboo’s torn body into the waiting fields. Then the rice was planted, and the days went by, and the shoots grew and the harvest came.